TOGY talks to Trinidad and Tobago's former Minister of Energy and Energy Affairs Kevin Ramnarine about current deepwater plays and how he views the future of Trinidad's energy industry development. Ramnarine suggests that multinationals should allow small local companies to sublease marginal fields that would otherwise be uneconomical for larger operators to develop. What are the most promising offshore projects? 2016 is going to be a pretty bad year for gas production. It probably will be the worst of the last six years. In 2017, we will begin to see a change. We will see three projects come on stream that have been in the making for the last two to three years. One of them is Sercan, which is a JV between EOG Resources and BP. That will bring on 250 mcf [7.08 mcm] of gas per day by Q1 2017. The second project is TROC [Trinidad Regional Onshore Compression]. It is the installation of compression at Point Fortin in Atlantic's compound. That will add another 300 mcf [8.5 mcm] of gas per day. The third project, which is a big one, is Juniper, which comes on in Q4 2017. That project will produce 590 mcf [16.7 mcm] of gas per day. If you add all three together, you get approximately 1.1 bcf [31.2 mcm] of natural gas per day added to the country's gas production level. A significant volume of gas will come into the market next year as a result of drilling, which is a consequence of investment due to fiscal incentives. In May 2016, the drillship Transocean Invictus arrived in Trinidad to start a deepwater drilling campaign in waters that are in excess of 1,000 m off our east coast and northeastern coast of Tobago. This is an eight-well deepwater drilling programme. I want to stress that all over the world, deepwater drilling has stopped because it is very risky and expensive. For example, Shell has pulled its deepwater drilling programme out of the Arctic. How was Trinidad able to sustain these projects? 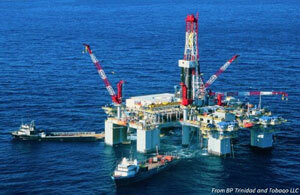 In Trinidad and Tobago, we are starting to drill while everyone else is ending deepwater drilling. That is a consequence of the fiscal regime and the fact that we were able to make significant changes to the deepwater PSAs in the last couple of years. This attracted BHP Billiton to invest in the way they did. It's a huge campaign with a lot of potential oil to be discovered. We believe that there is a whole other province out there that has never been tapped. We believe that Trinidad and Tobago mirrors the potential of Equatorial Guinea and Nigeria. The ministries have seen the full deepwater potential to be from 2-8 billion barrels of oil. The deepwater drilling programme comes on the back of the largest seismic survey ever conducted by a multinational, which is BHP's seismic survey of 20,199 square kilometers. What does the future look like for Trinidad's deepwater development? Dr Dave Rainey, who is the chief exploration geologist for BHP Billiton, has explained that seismic is showing significant anomalies, which they believe to be potentially giant oilfields in our deepwater. That could change Trinidad fundamentally. Trinidad and Tobago could resemble something like an emirate if we find that volume of oil in deep water. Of course, the price has to be right. They would need USD 60-65 per barrel to make it productive. In 2010, the upstream sector was dormant, and no investment was taking place. The fiscal regime for upstream didn't work, so we made plenty of changes to the policy. Afterwards, companies started to invest again. That is how we have Juniper. BP is the most important player in Trinidad and Tobago because they have the biggest footprint here in terms of volume. BP accounts for 20-25% of government revenue. They are also the largest investor in the country. They will invest USD 1-1.5 billion a year for the next four to five years. Juniper alone is worth USD 2.25 billion. It is the most expensive upstream investment in the history of Trinidad and Tobago. After Juniper, we have another project planned called Angelan. This has not yet been approved, but it is very important for Trinidad and Tobago. We always have to think about the future. BP and Trinidad are locked in a symbiotic relationship. We are very important to them, and they are very important to us. Trinidad and Tobago is 17% of BP's global volume if you look at oil and gas as one unit, as boe. That makes Trinidad the biggest asset for BP in the world because we have the most volume in a single space. BG has had some disappoints in the last couple years with Starfish and around Lobster. Lobster is less known. It was an exploration well that wasn't very successful. They have seen their business shrink in Trinidad and Tobago. EOG Resources has been very consistent. They are the low-cost, very-quiet, no-frills company. BHP is very consistent with their gas and oil production, and they have plans to expand into deepwater. I think the upstream sector is in a good place, but it will take some time to dig ourselves out of the hole that we have been in for the last couple years in regards to gas production. From a fiscal and regulatory perspective, what will enable the country to maintain this level of investment? An enabling environment is a combination of many things, taxation being one of them. Also, the mood, body language and the whole attitude of the government towards investments are very important. When I was minister, I sent a very clear message that we were not going to increase taxes for oil and gas businesses. The industry was very happy because they knew that they could plan their dealings in accordance with our promise. We told them that if anything, we would decrease taxes, which is what we did. We gave them incentive. I think an enabling environment is also a function of access to the government. The multinationals in particular need to have access to the ministers and key stakeholders. There are a lot of myths around this sector that have kept it back; there is a lot of mistrust. One of the myths is that multinationals are here to rob us. Since I came from a multinational company before I was minister, I knew this was all wrong. They are not here to take advantage of us. They are here to do business and make a return on their capital that would satisfy their shareholders. That is what business is about. I also was aware that Trinidad doesn't exist by itself in the world, and companies have options. We compete for that investment with Colombia, Brazil, Angola, Azerbaijan and with the Gulf of Mexico. We have to look at the fiscal regime and how competitive it is from a global context. You have to know that Trinidad and Tobago is not the only game in town. Other countries have things to offer to attract companies. For example, Colombia's oil industry has really opened up. They have doubled oil production in the last decade. That attracts investment. Now we have to compete with a Mexican oil industry, which has now de-monopolised Pemex, opened its doors and welcomed everyone. It means that an investor will look at Mexico's deepwater and Trinidad's deepwater markets and weigh the two, look at the risk, look at the economies and make a decision. The Ministry of Energy and Energy Industries has to constantly be at the cutting edge of the global industry, and it is very easy to dull that edge and fall back. Can you offer any insight on the TROC project? TROC is a compression project. You can install compression anywhere along the network. Compression is cheaper to install on land than offshore because there is limited space on a platform. It takes up a lot of space. They are installing compression facilities in Point Fortin which drops the pressure in the entire gas grid and stimulates BP's offshore wells to produce more gas. This is going to add another 300 mcf per day. The investment is being completely paid for by BP. It is very important to our country that this project happens and that it is successful. I think BP in particular has demonstrated that they are prepared to stay here and invest for the long term. Shell has also come to Trinidad and Tobago and expressed that the country is attractive to them. 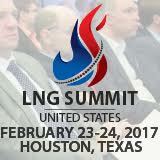 One reason is LNG possibilities and the other is the deepwater sector. BG has a stake in LNG, which is now Shell, and they also have a stake in deepwater. Shell is now the major shareholder in trains two, three and four, and the minority shareholder in train one. Shell is now the dominant player in LNG in Trinidad and Tobago. My question is this: if Trinidad and Tobago was running out of gas, why did Shell come into Trinidad so strong? Because they bought out Repsol's assets in the Atlantic LNG facility three years ago, and now they bought out BP's assets. Does Shell know something about Trinidad and Tobago that the media doesn't know? I think they understand the potential of the basin. What kind of potential can be found for the country in the regional oil and gas industry? Trinidad and Tobago is not limited to just this country. Venezuela is right next door with lots of gas, and that gas is actually surrounding our country. There is no infrastructure in eastern Venezuela to possess that gas. There is the Dragon field near the north coast, which contains 13 tcf [368 bcm] of gas that the Venezuelans have never monitored. It is just sitting there. Eastern Venezuela is a lot of jungle and swamp and so on. Trinidad and Tobago has a lot of infrastructure, capable people and plants that need gas. At some point in time, that gas from Venezuela will have to come to Trinidad because it makes economic sense for both countries. It can be a very easy way for Venezuela to make some very quick cash, which they need right now. We need gas; they need cash. I think at some point in time logic and economics will drive that gas into Trinidad within the next 5-10 years. What potential do smaller fields have? There's a lot of small pools of gas that may not interest people like BP, but it may be economical and feasible for small companies. One of the conversations that has to happen is a conversation between BP and smaller entities, where they allow them to sublicense into their acreage and develop their small pools. There are very many good small firms in Trinidad. That could bring on another 6 tcf [170 bcm] of gas into production. How do we deal with gas containment in the more immediate future? There is no short-term solution to the gas containment problem in Trinidad. There is, however, a medium-term solution. Even when Juniper, Sercan, and TROC come on line, it will not eliminate the problem because as those fields come on line, other fields will decline. They are just filling a hole. The peak gas production of this country was in 2010, which was 4.3 bcf [122 mcm] of gas per day. Unless we get Venezuelan gas into this country, it is very unlikely we'll ever get back there. A conversation has to start in Trinidad not only about supply management, but demand management. This is why I have advocated publicly that the closure of the Alcelor Mittal plants may have been a good thing for Trinidad because we have a shortage of gas. This is one of the plants that we didn't get much return on. It would have made more sense to sell our gas to those companies that pay us more for it like our ammonia and methanol plants. What are your thoughts on fuel subsidies? The new subsidy has to go. How it goes is the question. [The subsidy on] diesel is being slowly removed. There is no subsidy on super petrol, there is no subsidy on premium, but there is a subsidy on diesel. This subsidy has to go, but incrementally. The more the subsidies vanish, the more people will begin to think about hybrid, electric and CNG vehicles. All our cars in Trinidad and Tobago should be of this nature. That is the future, and it should be the future for this country as well. This would give us more fuel to export to get more foreign exchange and buy more things that we like. The subsidy is on the way out and everybody agrees. Because of the cheap price of electricity in Trinidad, it doesn't make the economics of renewable energy viable, but that didn't stop us. We put a lot of policies and laws in place to facilitate and enable renewable energy investment. I suspect the price of electricity will increase because in Trinidad it costs USD 0.06 per kWh, and that's residential. Jamaica is USD 0.28 per kWh. When oil is USD 100 a barrel, Jamaica could be USD 0.45 per kWh. If the price of electricity were to increase in Trinidad, you would see people investing in solar and so on. It is the direction we are headed in, and it is a good direction. We started to and have continued to work on a wind farm. We have set a target of 10% of our electricity from renewables by 2030. I think that is achievable, but requires will and investment in the private sector. For that to happen, it has to make economic sense. Nobody wants to have a renewable sector that is subsidised like the renewable sector in England or in Scotland. Editor's Note: This commentary was originally published by The Oil & Gas Year (TOGY); on Aug.10, 2016. Petroleumworld reprint this article in the interest of our readers.